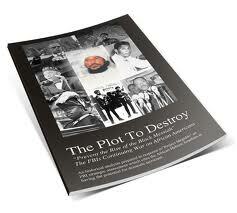 “Prevent the Rise of the Black Messiah” The FBIs Continuing War on African Americans. In the 1960’s the FBI became the only institution in the history of the US government to go on record with the intent to prevent the emergence of a “Messiah” sent from God. This book chronicles this episode in history and the triumph of those who escaped the snare of pending destruction.